Seaside Safari Park entered the top 3 best amusement parks in the country, reports PRIMPRESS with reference to the press service of the institution. 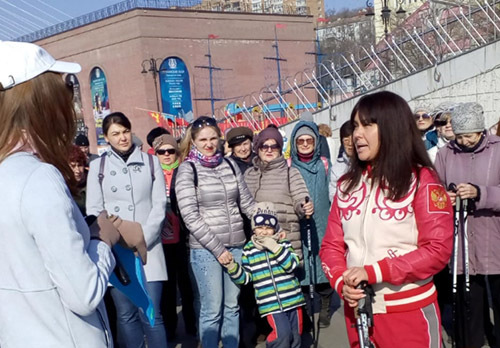 The results of the national rating of tourist brands–2018 were announced at the international exhibition "Intourmarket – 2019" in Moscow. In the top 3 best amusement parks in the country entered the seaside Safari Park. On its territory, an area of 16 hectares, home to more than 70 species of animals: tigers, far Eastern leopards, great Himalayan bears, deer, wolves, foxes, wild boars, raccoon dogs, badgers, far Eastern forest cats and other animals. The main feature of the Park is that the conditions of keeping animals as close as possible to the wild nature, and visitors watch them without bars, passing the route on specially equipped paths and bridges. In 2015, all-Russian fame, the Park has brought the story of the friendship of the Amur tiger and the goat Timur. On one territory they lived for a long time, slept together, had dinner and even played. Recall, the center of information communications "Rating "and the magazine on domestic and inbound tourism" Rest in Russia " traditionally conduct large-scale studies, the results of which formed the national rating of tourist brands. The top three this year were determined in 22 categories, 63 projects from all over the country passed the preliminary competitive selection. The expert jury assessed the tourist attractiveness of each brand, the number and tone of reviews of tourists on popular travel sites, the profitability of projects, as well as the efforts and costs of owners to promote the brand, the number of references to it in the media.